On Saturday mom and I went to the 39th Annual Greater Indianapolis Garage Sale and Marketplace. 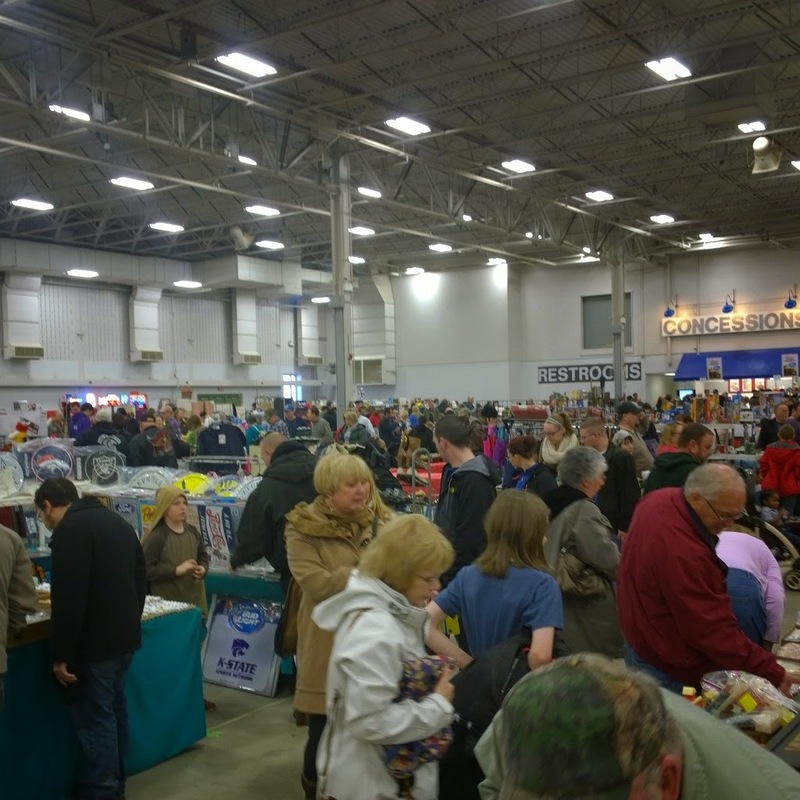 It is held in 2 of the large pavilions at the Indianapolis fairgrounds. There were several hundred vendors. The majority were antique/vintage dealers... but, like any garage sale, you have your duds. The duds included vendors selling: dollar store stuff for more than a dollar; pyramid-scheme people trying to recruit people to work under them selling 31 bags or scentsy or whatever is big right now; and of course there was just pure junk that should've been thrown out. Here's a shot from the middle of one of the pavilions. It was VERY crowded. It was sometimes hard to get into booths or across the pathways to the other side. So, are you wondering what I got? If you follow me on Instagram or Facebook, I've already posted these pictures! 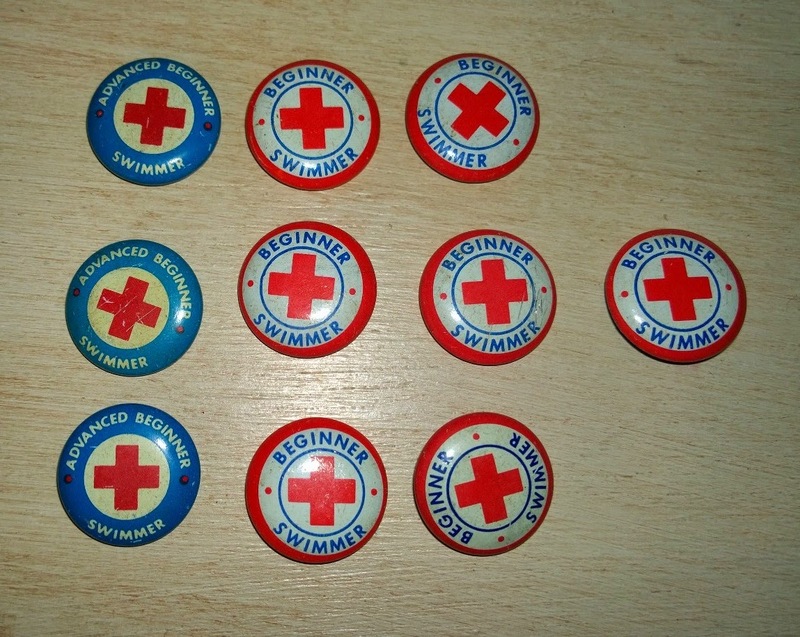 First up are these cute Red Cross swimming pins that they handed out after you completed Red Cross sponsored swim classes. 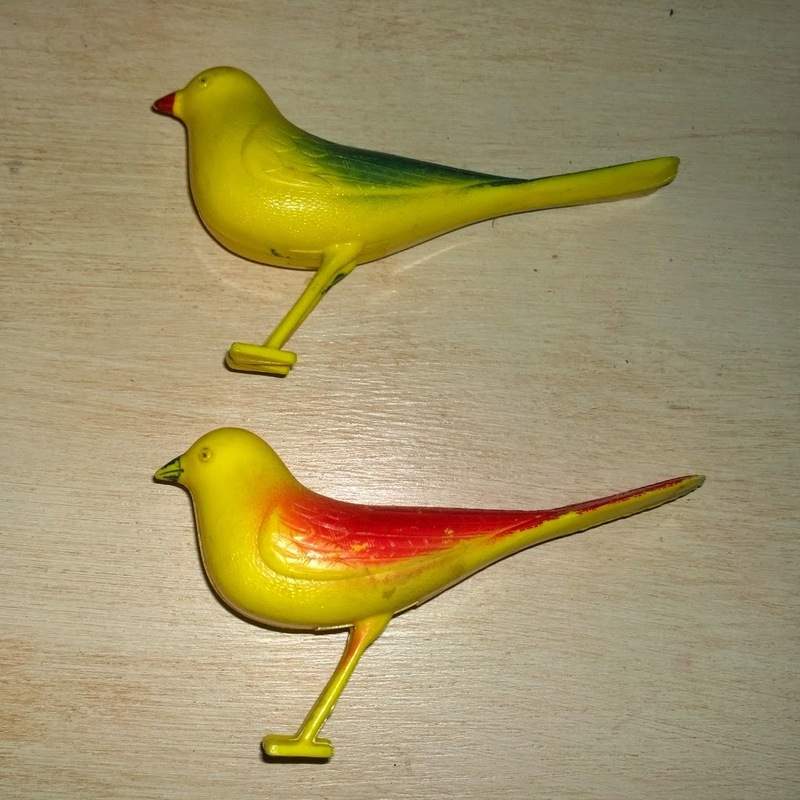 Someone on Instagram dated them to the 1970s - they had the exact same ones from her swimming lessons as a child. 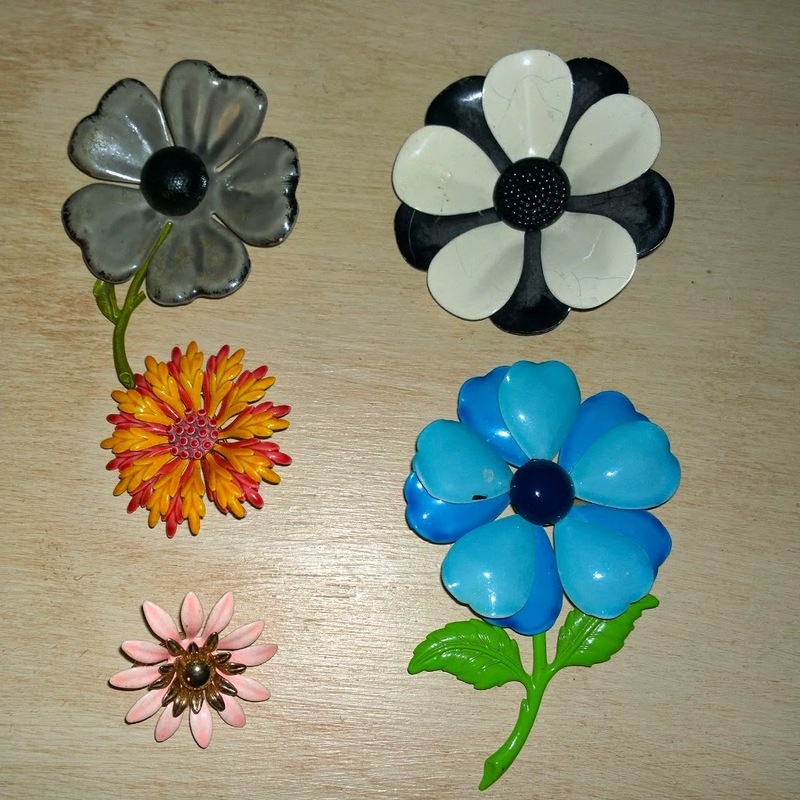 I was really happy to find some flower pins! I dug through bins for the smaller ones. The pink and gold one is actually a clip-on earring. I found them with the swimming pins. The other 3 pins, I found in one of the last booths. The dealer had an excellent price on them! 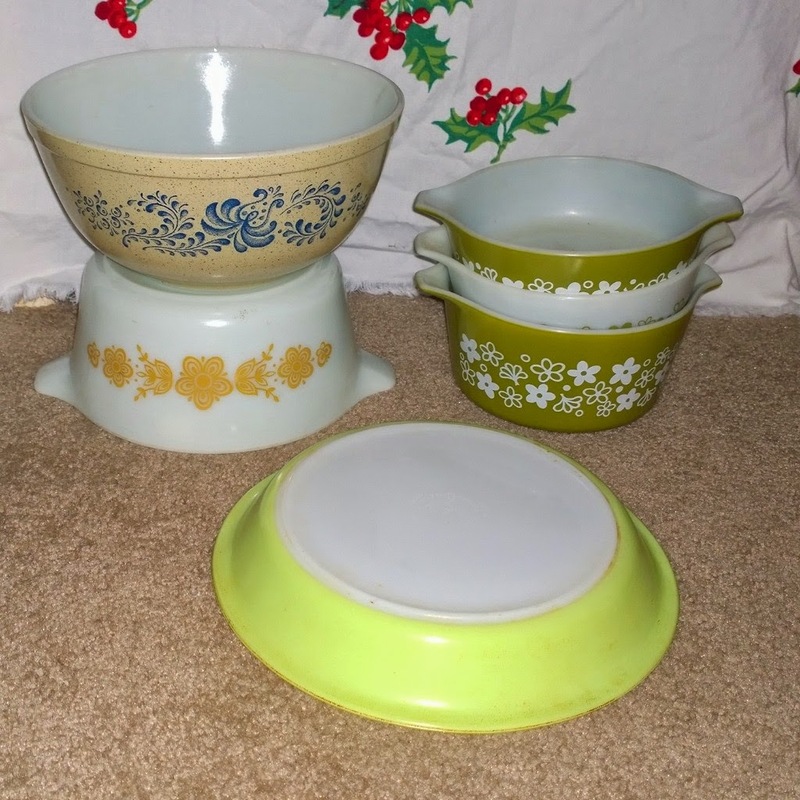 My first Pyrex haul of 2015. Nothing spectacular, but they'll all be heading to my booth. 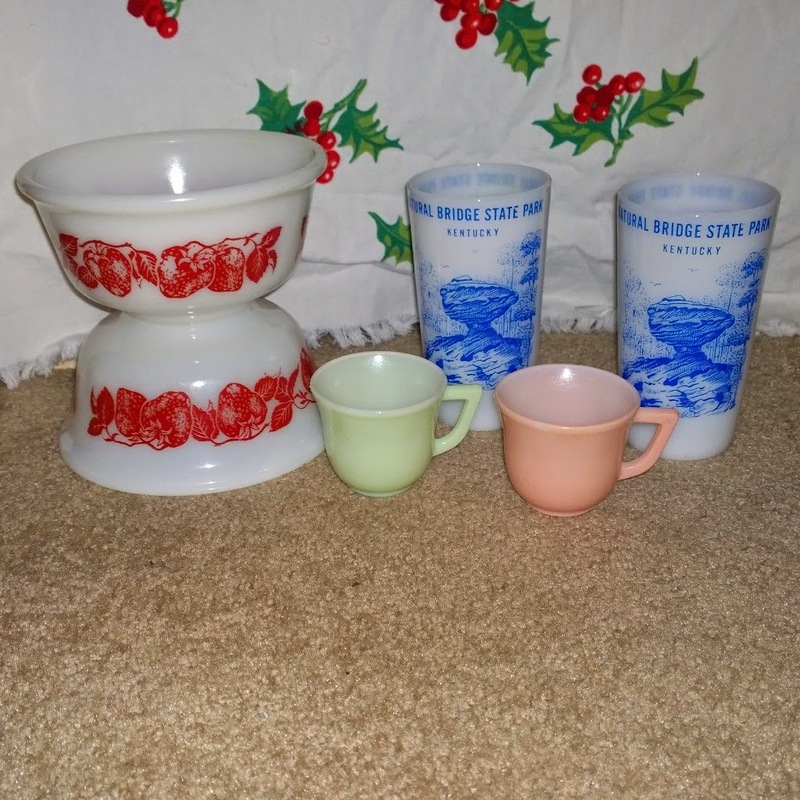 More vintage kitchen glassware: 2 Hazel Atlas strawberry bowls, 2 Hazel Atlas child's moderntone teacups, and 2 Federal Glass Co. souvenir glasses. 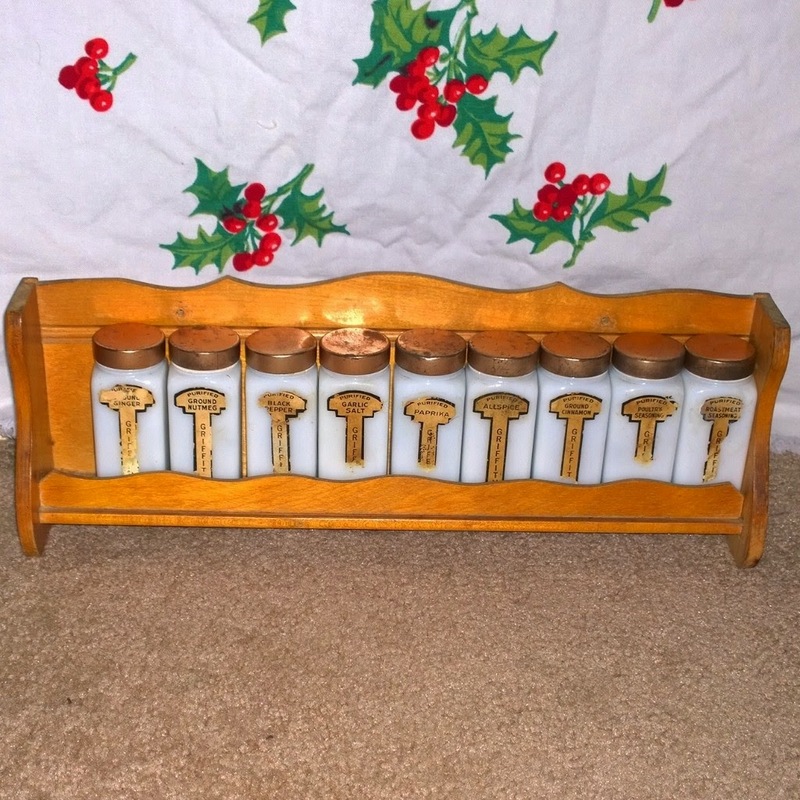 Also got these Griffith's spice jars and rack for a steal. I saw quite a bit of vintage Christmas items, but this was all I picked up. They will join a few others that I have. 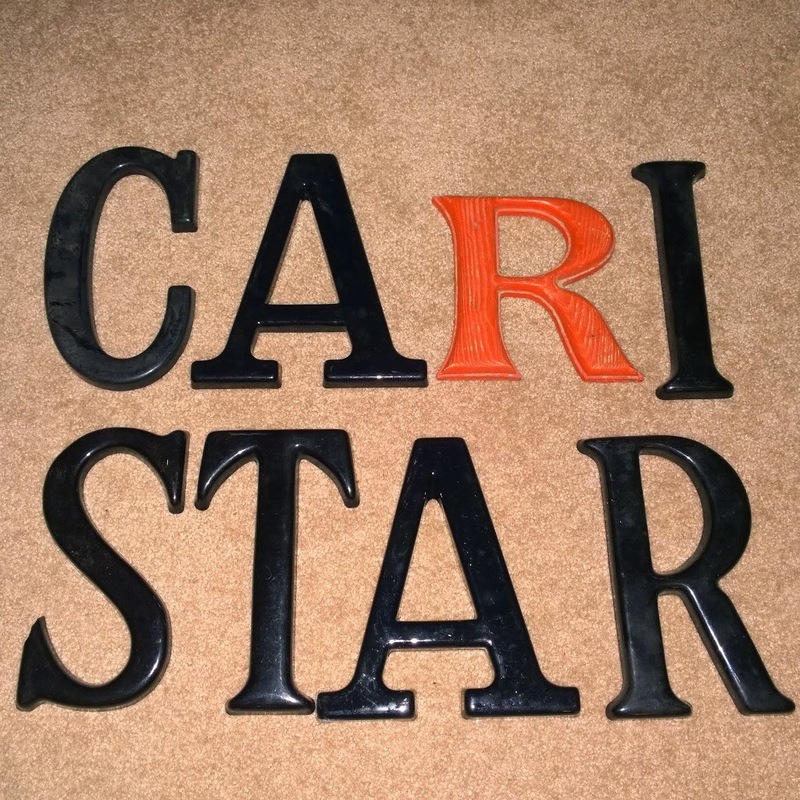 I don't think I'll ever tire of vintage marquee letters/signage. 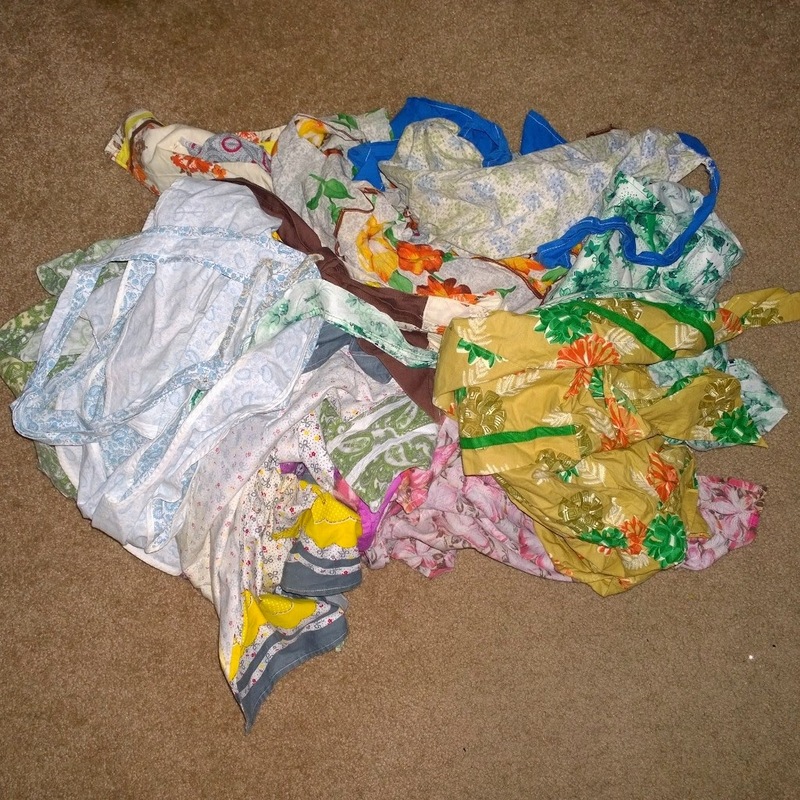 Finally, I got this pile of 11 vintage aprons. They will eventually be for sale on my Instagram feed. Looks like a fun day! Love the pins you found!! Love those pins, and love how you described the vendors. Wish we had a sale like that around here. You did good! Love the pins. Love the HA strawberry bowls! Great treasures! I would probably spend hours at an indoor garage sale!! When I go to these affairs, I make sure to buy something long and pointy first thing. It tends to make room for me to shop. The swimming pins are my favorites. What a haul! That place looks like loads of fun and well worth fighting the crowds over. Love your stuff, but my favorite is the old spice jars. 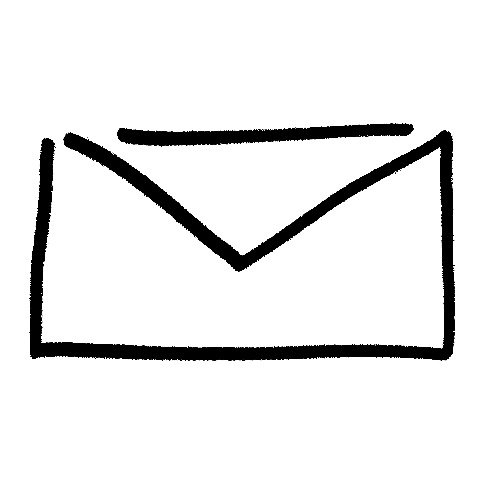 Thanks for sharing at VIP. Oh this reminds me of our Indoor Garage Sale here in February this year at our Hoilday Inn Expo center.I am taking a car load. Lots of fun stuff Melissa. I love going to events like this! And yes, there are always some booths that you wonder what they are even doing there. Thanks for sharing with SYC. Thanks so much for stopping by my Let's Talk Vintage link party... you are featured this week!